This St. Catharines home is now SOLD! Welcome to 29 Brimley Cres. 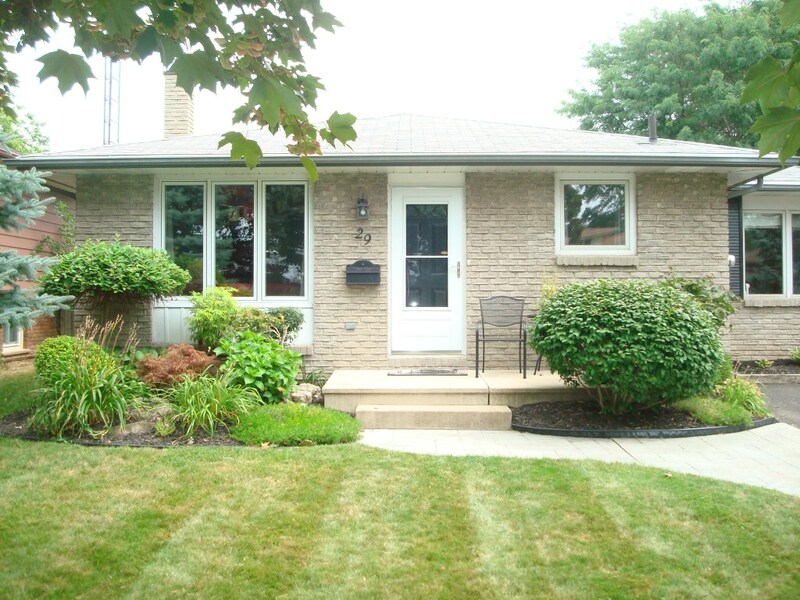 Located north of Lakeshore Rd., this 4 level executive back split is awesome! The large kitchen is the centre of the home with plenty of storage, an island and built in wine glass cabinet. The living room is bright due to a very large skylight. This is a unique oversize back split with an addition of a formal dining room and main floor family room. There is a gas fireplace in the main floor family room and the fireplace in the recreation room will be removed (not working) before closing. Enjoy hardwood floors in the living, dining, family and upstairs bedrooms. The master bedroom was 2 rooms and is now one large suite with a 4 piece ensuite privilege with a Jacuzzi tub, updated in 2009. The lower level features a recreation room, a large open office area and a 3 piece bathroom with an awesome walk-in shower with glass wall. The basement (4th) level has a workout room with a mirrored wall, furnace and laundry rooms. The walk out sliding patio doors off the main floor family room lead to a private fenced backyard that features an in-ground pool, 2 patio areas, a well landscaped yard and shed. Taxes for 2015 were $4277.00. This is a great home for entertaining or for a large growing family. For more pictures of this and other homes, please go to the listings page of St. Catharines Real Estate or the blog listings section.